Reason #1: The library holds over 6,000 books in more than 15 different languages. German architect Herman Kompernas designed the library to foster a love of reading among tourists. The diverse books are arranged by country of publication in order to make discovery easier for readers from around the world. Reason #2: Waves crash a few feet from the shelves. Reason #3: The books are free! Like most libraries, you don’t have to pay to indulge in your reading passion; but unlike most libraries, there’s only a loose suggestion that books be returned. 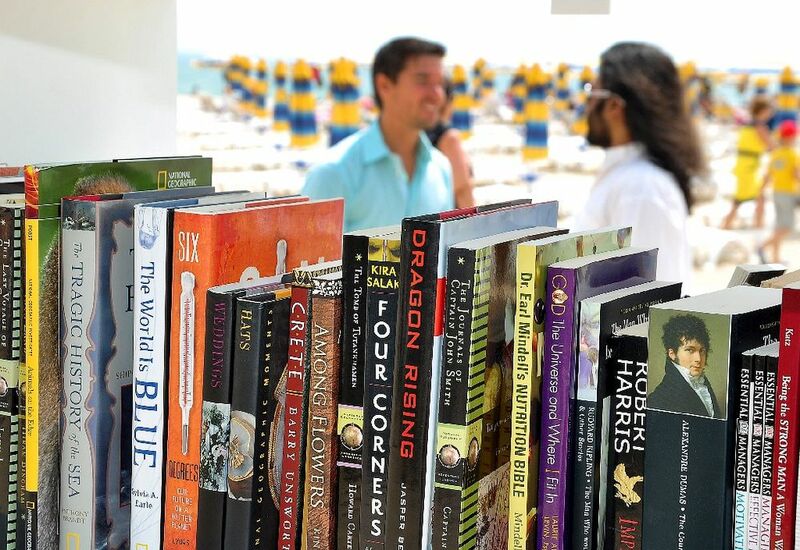 Obviously, a band of villainous book thieves would be devastating to the inventory, but the Beach Library wants to promote the love of reading—not the love of returning books on time. If you “accidentally” take a book home with you, the library police won’t be after you. Reason #4: The bookshelves are resistant to sun, wind, and rain. Neither snow nor rain nor heat nor accidentally spilled sunscreen can keep this library from its sacred duty. Kompernas and his team built the 140 bright white bookshelves out of a special material that is resistant to sun and wind. In addition, each shelving unit has a vinyl covering for rainy days. 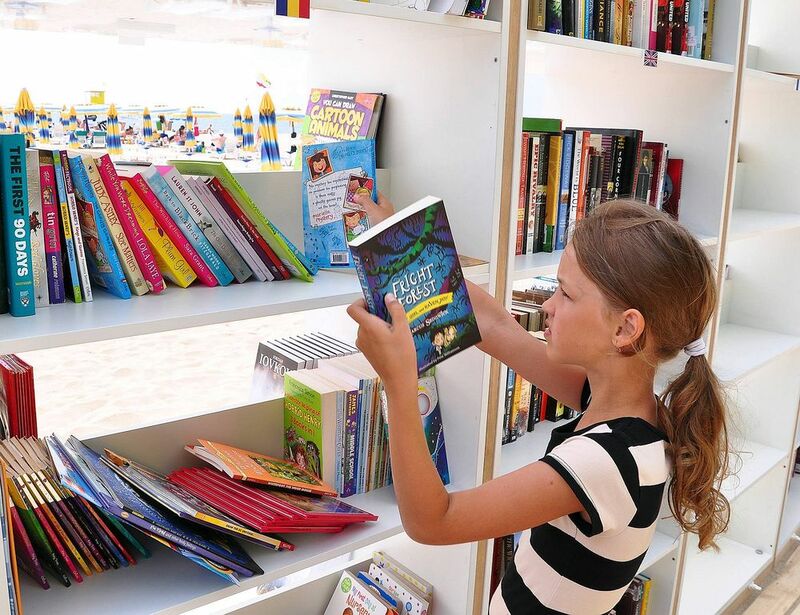 Reason #5: The inventory is constantly expanding because tourists often donate their own books before they go home. Spreading the love of reading is contagious. After benefitting from a vacation full of free books, tourists can’t help but pass on the awesome. 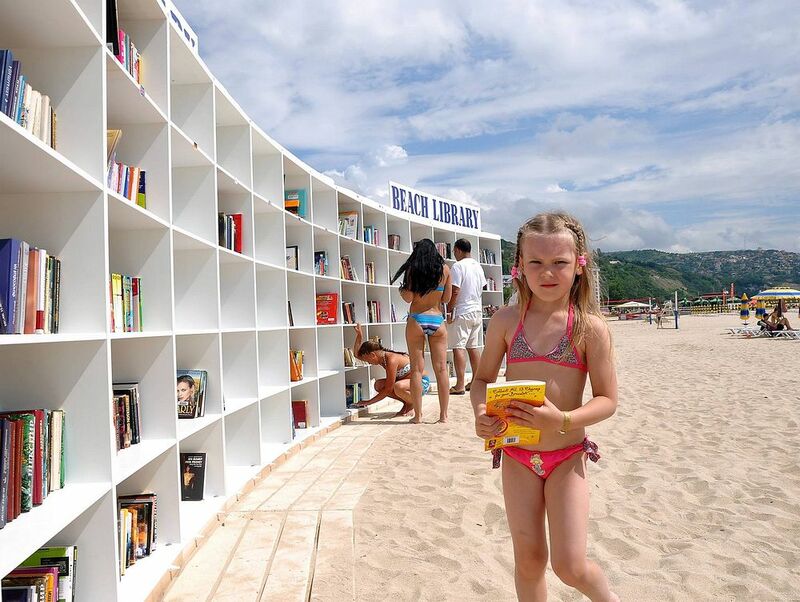 “The library is getting richer because of our guests,” Yovka Strashilova, Albena’s deputy manager, proudly boasts. Reason #6: The library is surrounded by beach chairs. 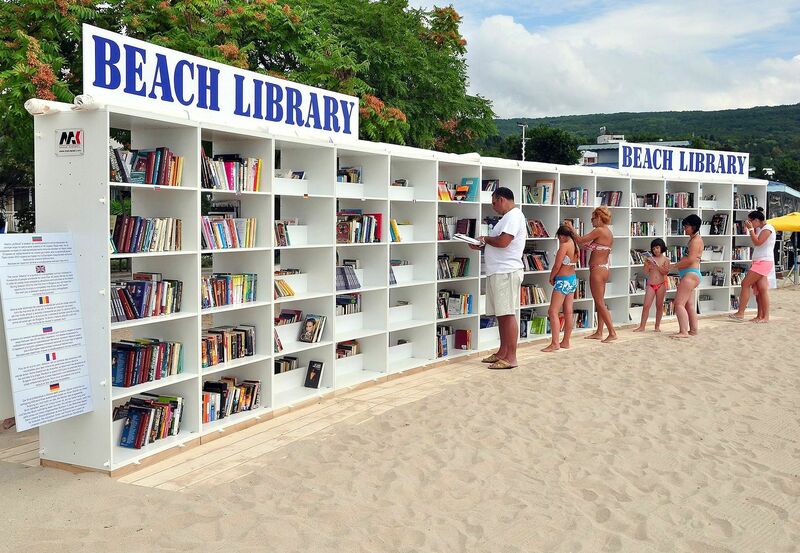 Once you pick up a stack of books from the Beach Library, you won’t have to look long for a perfect reading spot. Beach chairs and umbrellas stretch out as far as the eye can see. This is what summer reading dreams are made of. THIS IS THE KIND OF LIFE I WANT GUYS! SIMPLY BEAUTIFUL! What do you think about something as beautiful as this in Nigeria?